3 Bedroom Detached House For Sale in Chesterfield for Offers in the region of £380,000. Situated in the heart of the sought after village location of Heath; this stunning detached period home is not one to be missed. The large kitchen is fitted with cream shaker style wall and base units with cream range master cooker and hob and wooden effect work surfaces. There is a small utility that allows plumbing for a washing machine and under counter fridge. The kitchen allows enough space for a small table and exposed wooden beams. Along with the kitchen is a separate dining room, with tiled floors and views across the rear garden. This leads to the large living room complete with multi-fuel burner, this has a really cosy feel with the open plan living. There is a large conservatory so you are able to soak up all of the stunning views in the comfort and warmth of your home. Downstairs also has an office space that is ideal for the home worker along with a newly fitted downstairs WC and shower wet room, perfect for guests and the extra bathroom space. 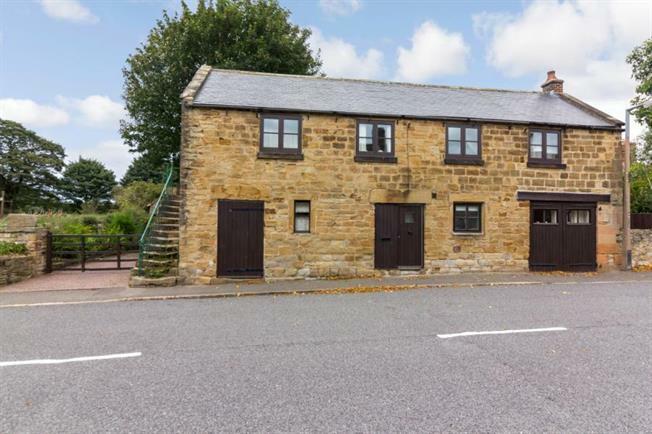 Upstairs the property offers the large master bedroom, with dual aspect allowing plenty of space for a large king sized bed and complete with the original stone period features of the property. There is another double bedroom with external access and built in storage, again all original stone period features. The third bedroom is a good sized single. The large family bathroom is newly fitted and has a separate shower cubicle and Jacuzzi bath that has stunning views over the Chatsworth estate. This property doesn't just stop there! It has a large detached garage, with utility space at the rear and a large driveway with off road parking. The wrap around garden is quiet and private and has plenty of space for the large patio and lawn. A pretty, almost 'quaint' village which looks out over the Vale of Scarsdale and is close to Hardwick Hall, Heath. Within easy reach to Heath Primary School and Nursery and local shops and doctors surgery. Approximately 5.3 miles via Mansfield Road/A617 to Chesterfield Town Centre via car or via buses 48 and 49 Stagecoach. Call Blundells now to view as this will not be around for long!